One of today’s hottest flavor trends is not a flavor at all. It’s showing up in snack cakes, cereal, beverages, ice cream and gum, and it may taste like birthday cake, cotton candy, cherry or strawberry. Unicorns are popping up across the grocery store in all of their glittery glory. 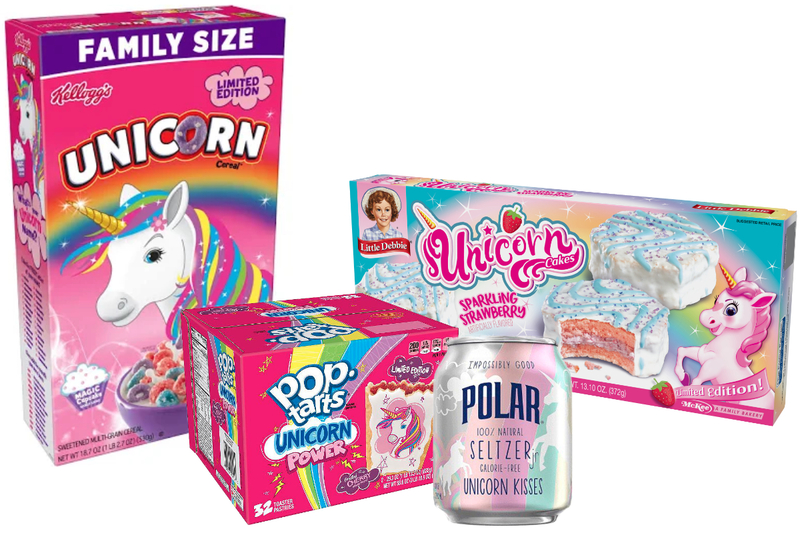 Kellogg Co. recently launched a limited-edition Kellogg’s Unicorn Cereal, featuring birthday cake-flavored, loop-shaped cereal with “fun crunchlets,” and limited-edition Pop-Tarts Unicorn Power toaster pastries with a cherry filling and a unicorn design printed on the frosting. Ferrara Candy Co. unveiled Brach’s Unicorn Horns fruit-flavored candy corn. McKee Foods Corp. debuted Little Debbie Unicorn Cakes, which are “sparkling strawberry” snack cakes. 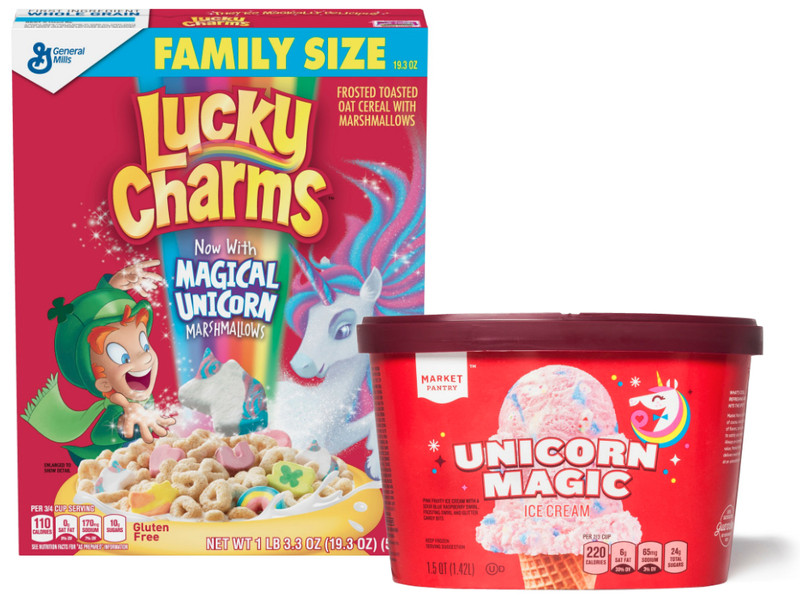 And earlier this year, General Mills added a unicorn marshmallow to its Lucky Charms cereal. 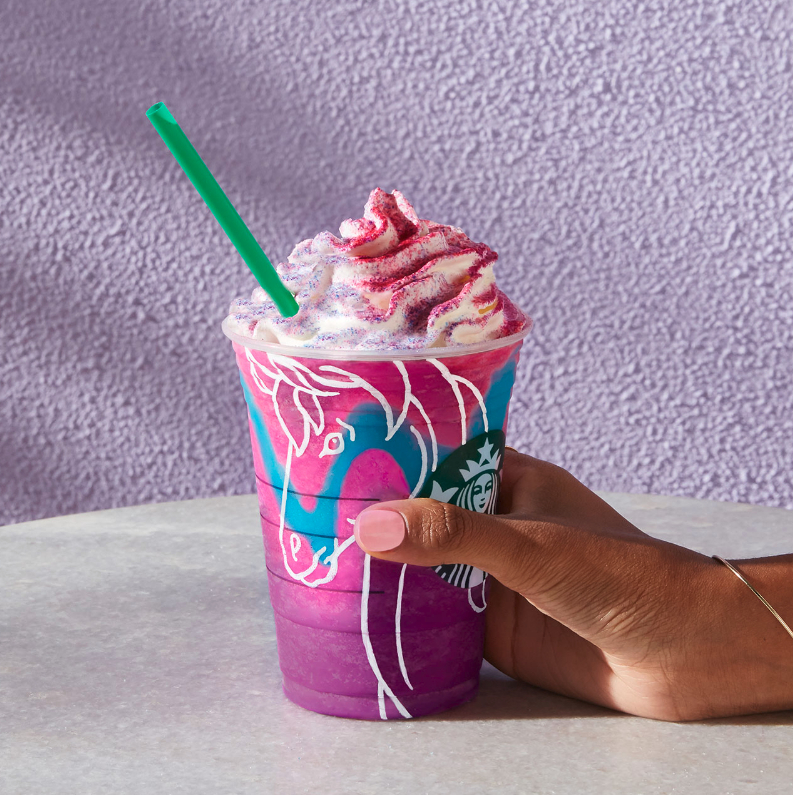 These product introductions follow last year’s buzzed-about launch of Starbucks’ Unicorn Frappuccino, a blended beverage featuring mango syrup and a sour blue drizzle. Many locations ran out of supplies early, and the drink reportedly generated more than 180,000 hits on Instagram in a week. The Unicorn Frappuccino was inspired by a trend of unicorn-themed food and beverages posted on social media. From bagels to layer cakes to lattes, such items feature swirls of pastel or rainbow hues and may include sprinkles, marshmallows or colorful candies. Recipes shared on Pinterest range from tie-dyed grilled cheese sandwiches to vibrantly tinted cheesecake. The trend reportedly began when a food blogger started experimenting with natural dyes to punch up her photos. Vivid hues have captured consumer attention in recent years, with ingredients such as spirulina and activated charcoal tinting ice cream cones, smoothie bowls and more. Credit ‘90s nostalgia for the recent emergence of unicorns in popular culture. Many millennial and Generation Z consumers grew up in the era of Lisa Frank, a brand of colorful, whimsical school supplies and stickers. Those psychedelic designs recently saw a resurgence in cosmetics, coloring books and clothing, aimed to appeal to sentimental 20- and 30-somethings. What comes after unicorns? A peek at the fashion industry would suggest mermaids may offer the next wave of inspiration.